THIS MONTH, we’re spotlighting singers and musicians born in the month of July by giving their songs Extra Plays. PLUS, GreatGold.fm Internet Radio is observing the 4th of July USA Independence Celebration by playing Patriotic Songs once every hour until the end of the month. We’ll mix them in with your favorite Rock, Pop, Soul, Motown, Blues and Oldies Classic Hits from the 1950s, 60s, 70s, 80s, 1990s, into the 2000s. 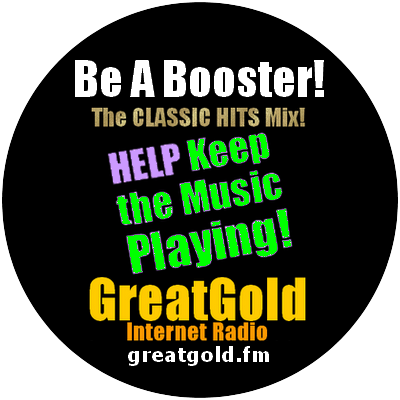 IN ADDITION, our Summer Tradition of playing Summer Songs continues at GreatGold.fm during our Summertime Sunshine Time, 24/7. AND: DION DIMUCCI of Dion and The Belmonts/Dion; VIKKI CARR; SUE THOMPSON; VERDINE WHITE of Earth, Wind and Fire; CARLOS SANTANA and JOSE ‘CHEPITO’ AREAS of Santana; BERNIE LEADON of Eagles; JOHN LODGE of Moody Blues; plus many more. SEE THE COMPLETE LIST of musicians and singers who were born in July on our HOMEPAGE.